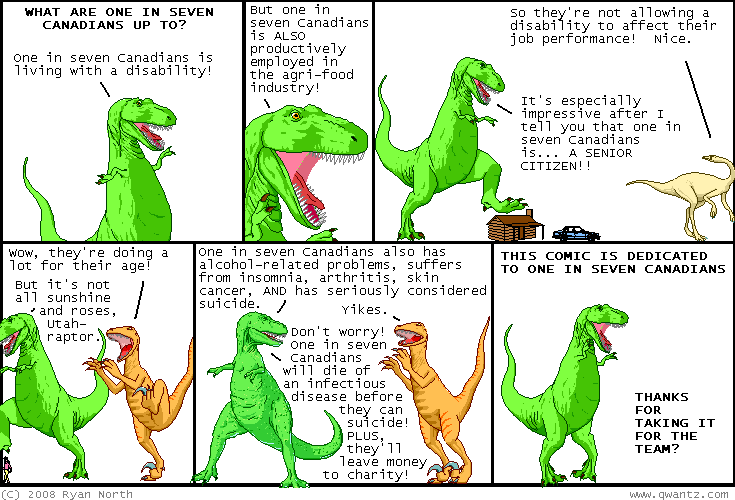 Dinosaur Comics - December 10th, 2008 - awesome fun times! December 10th, 2008: Everyone here are some awesome things for you! First up is Is It Funny Today, a site that lists the latest updates from webcomics and allows you to vote on whether or not they're funny, and see the funniest comics out today. It just launched and I think it'll be a great way to find other funny comics on a daily basis! Notice how in that last sentence I presupposed that you think my comic is funny. Oh yes. This is the Power of Language.